It's a week of KidPages! If you missed the first three days, you can check out Bradley's, Maxwell's, or Aaron's books by clicking on their names. 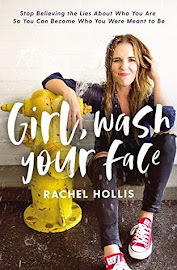 Today I'm sharing three of my recent favorites. Before I had kids, I never guessed I'd have such strong opinions about picture books. I didn't know that most books with long text would be tedious and a dreadful bore (Robert McCloskey is a definite exception). I didn't realize I would actually enjoy "reading" a wordless picture book. I was unaware how stupid forced rhymes would sound. But these things (and many, many more) have all become apparent during the last 4+ years as I've had my daily dose of picture books. 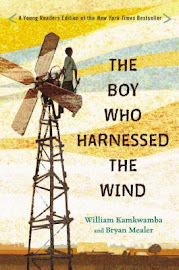 This book was one of the nominees for the 2013 Beehive Book Award (Utah's children's book award). I checked it out simply because it was on the list, and I was checking out all of the nominees we hadn't yet read. There was nothing about the title or the cover that told me I would love it. I was giving it the same fair chance as all the other books on the list. I guess you know I loved it. Betty Bunny is the youngest bunny in her family, and she is a handful (at least that's what her parents call her). One night for dessert, her mother offers her chocolate cake. Betty Bunny is hesitant to try it, but one bite tells her it is the best food ever. In fact, she loves it so much she wants to marry it. But one night, she is not on her best behavior (she is a handful, remember? ), and so she gets sent to bed without any beloved chocolate cake. She is devastated, but her mother tells her she will save a piece for her to eat the next day after dinner. Betty Bunny can't bear the thought of leaving her piece of cake home, so she puts it in her pocket and takes it to school with her. That night, when it is finally time for her to eat it, she discovers the horrible truth: chocolate cake cannot survive an all-day trip in a pocket. There's probably nothing in the above summary that's making you say, "Oh wow, I have got to read that book." That's because it's not the plot itself that's special. It's the lines. There are so many good ones. 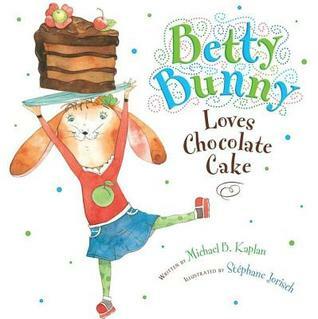 Michael Kaplan cast Betty Bunny perfectly (he must have a five-year-old daughter). From the way she screams, "This family is yucky!" (the ultimate pronouncement) to telling her mom, "Mommy, you are a handful" (which she surmises must be a really great compliment since that's what her parents call her, and she knows they love her), Betty Bunny is perfect the whole way through. I love it when her mom is tucking her in for the night and says, "Good night, Betty Bunny. I love you," and Betty Bunny says, "Good night, Mommy. I love chocolate cake." Little kids are so adorably self-centered sometimes (other times, they are just self-centered). But as much as I love Betty Bunny, the character that makes the book for me is the older teenage brother, Bill. If Michael Kaplan has a five-year-old daughter, then he must also have a 14-year-old son. Bill has just the right amount of arrogance, dry humor, and bored attitude to make him a totally convincing teenager. I laugh out loud at his lines (and I shouldn't because sometimes he can be a bit rude, and Aaron knows I think he's hilarious, and I certainly don't want Aaron thinking just because I think it's funny, it's somehow acceptable to say). Here, I better give you an example so you don't think he's a horribly bad kid. When Betty discovers her smooshed up piece of cake, Henry (the brother just older than Betty Bunny) says, "I can't believe you put cake in your pocket." Kate (the older sister) says, "Betty Bunny, food doesn't go in your pocket." And Bill says, "Guess you can't marry that piece of cake now." This is a definite change of pace from Betty Bunny. 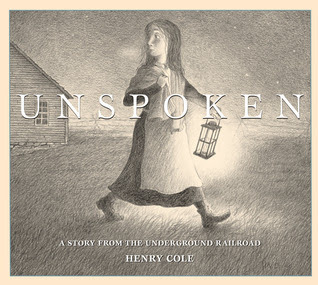 Unspoken caught my eye last year when several people mentioned its potential for the Caldecott. Upon paging through it, I could tell that it wasn't one my boys would be taken with, but I loved it. 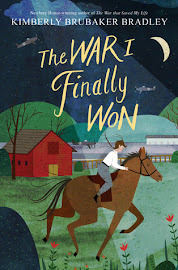 It is a wordless picture book and shows the story of a young girl living in the South during the Civil War. One evening, she is in the barn and notices that someone is watching her from among the dried cornstalks. At first, she is frightened but then realizes that she can help that person in need and so returns with food. Although you never see more than the person's eye peeking out, it is clear that she is a runaway slave because a little while later, several men show up demanding information and promising a reward for her recapture. That night, the little girl returns to the barn and discovers that the visitor has continued on her journey. At the back of the book, there is a note from the author, which says in part, "I wanted to make this a wordless book. The two main characters in the story are both brave, have a strong bond, and communicate with great depth. Yet, both are silent. They speak without words." I loved this: the characters themselves are silent, so why would we need words to explain their actions? Let the pictures show and tell the story. And the pictures do. Beautifully. They're done in charcoal and pencil, and I don't know about you, but there is something so refreshing about looking through a book without color or vibrancy. Also, they just seem to fit the Civil War time period so well both in style and content. Another reason why I love this being a wordless book is because the characters depict a rather common scene from those years, one that was probably played out again and again: a human being risking her own comfort and safety to help another. And so, because there aren't any words, it gives you the opportunity to attach a real story to it if you want. Or you can make up your own story but change little details of it each time (where did the slave come from? why did she run away? where is she going? where is her family?, etc.). One thing I've noticed is how little decent historical nonfiction there is for the five-and-under crowd. I guess it's just hard to simplify history. But here is a perfect example of one that provides the framework and then let's you be as simple or as complicated with it as you want. Even though my boys are not quite ready for it, I anticipate coming back to this one many times as they get older and begin to have questions about things that happened in the past and how those stories apply to the future. 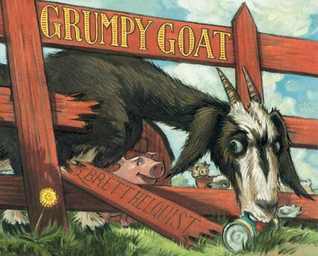 Grumpy Goat came by his name naturally. He lives on a nice and friendly farm, but when the other animals try to be nice and friendly to Goat, he kicks and butts and scowls at them. One day he wanders off away from the farm and just as he crests a hill, he finds a beautiful, golden dandelion. Seeing that little bit of beauty does something to Goat, and as he waters and trims and watches the dandelion, he begins to be more civil, and even friendly, with the other animals. But one day, his dandelion transforms into a puff of seeds. A breeze blows, and Goat is left with a dandelion stump. He is heartbroken and goes back to being his melancholy self until one day he wakes to find a wonderful surprise all over his hill. This is a perfect book to read this time of year. My kids love to bring me bouquets of dandelions, and Bradley has already discovered how to pluck off the dandelion, pucker his lips, and spread dandelion cheer all over the yard. I have to admit that while I find a field of dandelion puffs and stumps dismally ugly, in isolation, they can be incredibly fascinating. And when a close-up of one is drawn with precision and detail (as it is in this book), it can even be (dare I say it?) beautiful. The other animals in this story are really great examples of how you should treat others, particularly those who may appear gruff or mean on the outside but who really just need that special something that can find a way into their soul; and when that happens, they already have a group of friends who have just stood by ready and waiting for the change to take place. And that takes care of my list (check out Boot & Shoe, And Then It's Spring, or Little Pea if you want a few more ideas). Tomorrow, for our fifth and final day, come see what Mike's recent favorites are (he doesn't get to have a say here very often, so it should be good). Oh these all sound wonderful!